It's not unusual for former opponents to turn around and endorse their party's candidates, or to go quiet in general elections — to say nothing at all. But it's unusual to endorse the other party's general election candidates. And yet, that's happening in several Texas races this year. Texas Republicans, in general, are having a normal election year. Set Ted Cruz and John Culberson and Don Huffines and a few others aside for a moment; from the governor’s race on down, the campaign finance and polling data is piling up like it usually does in this red state. Sure, there are a lot more Republicans than Democrats in trouble in districts that were designed to keep them safe. Republican members of Congress like Culberson of Houston, Pete Sessions of Dallas and John Carter of Georgetown are under siege. So is Will Hurd of Helotes, but his is the kind of swing district where close political races are the norm. It’s happening in the Texas Senate to Huffines of Dallas and — maybe — to Joan Huffman of Houston. Konni Burton, R-Colleyville, is in a situation like Hurd’s, running for reelection in a place whether either party could win if the winds are favorable. The Texas House is sprinkled with contests of both kinds, with presumably safe Republican districts in play and swing districts with incumbent Republicans looking a little blue around the gills. All of that is to be expected in a Republican president’s first midterm election. This election could turn out to be a referendum on Donald Trump, with voters tapping the brakes like they often do in midterms (or, as in Obama’s first midterm in 2010, stomping the brakes). But endorsing candidates from the opposition party is an altogether different kind of trouble. It’s an indication that some partisans are fed up enough with their standard-bearers to risk the wrath of their own tribe. It’s not widespread yet, but a few Republicans have been breaking ranks this year to side with Democrats in general election contests, as the Texas Tribune’s Cassandra Pollock reported last week. Perhaps Jerry Patterson’s endorsement of Democrat Miguel Suazo is not surprising to you. Patterson, a conservative Republican, is a political bulldog not known for walking away from an argument. 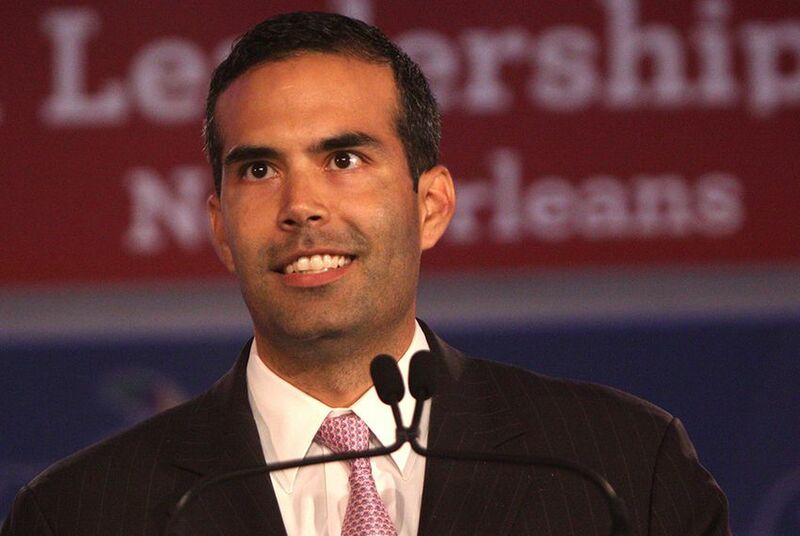 He is quite firmly opposed to the continued tenure of Texas Land Commissioner George P. Bush — so far, without effect. Bush succeeded Patterson at the Texas General Land Office. He spanked Patterson in the March GOP primary. It wasn’t close: Bush, 58 percent; Patterson, 30 percent; others, 12 percent. That wasn’t the end of it. Persistent as a wad of chewing gum stuck to a shoe, Patterson has now endorsed the land commissioner’s Democratic opponent. It wouldn’t be the first time Patterson has operated as a party of one. But he’s not the only Republican candidate showing up next to a Democrat this year. Scott Milder, who collected 24 percent of the Republican vote in a primary against Lt. Gov. Dan Patrick, has endorsed Democrat Mike Collier, who’ll face Patrick in November. And Bennett Ratliff, a former House member who lost his seat to state Rep. Matt Rinaldi of Irving in 2014 and failed to recapture it in their 2016 rematch, has endorsed Julie Johnson over the incumbent. Those endorsements might come to nothing, but they are new signs that the majority party has been in power long enough that, like the Democrats before them, hard and soft partisans have separated into two factions within the GOP. Milder and Ratliff both ran as public education advocates who want more state funding for schools. Both have been critical of legislation like the bathroom bill that preoccupied much of the Legislature in 2017. Maybe, that’s just a trio of sour pickles. But the more politic course in these situations is to simply stay out of the general election, endorsing neither the former opponent nor the other party’s candidate. These guys are trying something else, telling moderate Republican voters that the Democrat in each race is, in effect, the lesser evil in the general election. Three primary election losers don’t constitute a movement; wait and see if any voters follow them.